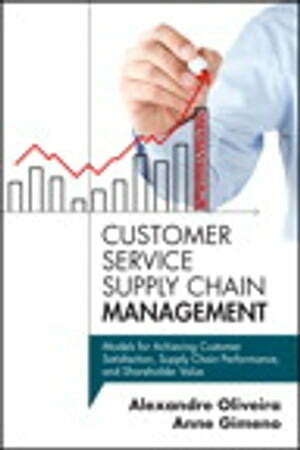 Collins Booksellers - Customer Service Supply Chain Management by Alexandre Oliveira & Anne Gimeno, 9780133764581. Buy this book online. Customer Service Supply Chain Management offers expert guidance for managing your supply chain to deliver more innovative and profitable customer experiences. Pioneering supply chain management experts Alexandre Oliveira and Anne Gimeno provide a comprehensive overview of the topic, detailed descriptions of each high-value approach, and modern applications and best practices proven at leading companies worldwide. Complementing theoretical texts, they offer deep knowledge of how pioneering customer service management techniques are actually applied in the field. This book’s content will be exceptionally helpful to both practitioners and students in all areas of supply chain management, customer service, and marketing, including participants in leading certification programs. To build a truly customer-centric business, you must integrate, balance, and optimize four sets of relationships: product, customer, service, and process. By doing this, you empower your business to deliver the high-profit solutions your customers really want: personalized packages of products, services, support, education, and consulting.